The U.S. stock market is long overdue for a big fall. It has been 925 trading days since the stock market had a correction, according to a recent Deutsche Bank (DB) report. That's more than double the average length of time it usually takes. 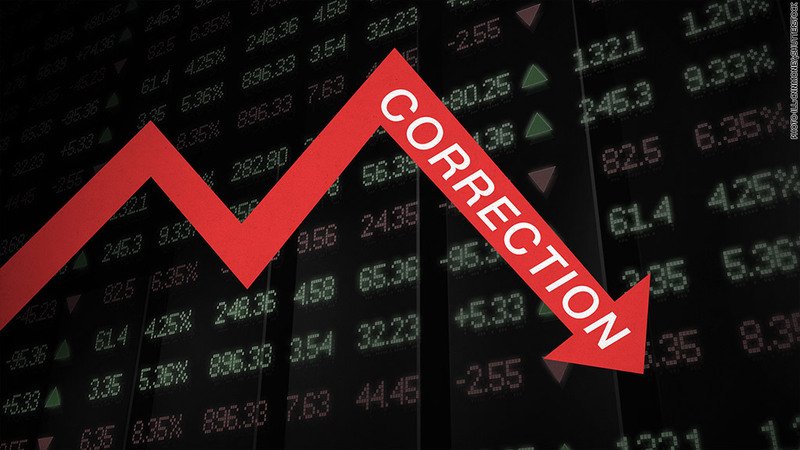 A correction is a 10% or greater decline in the stock market in a short period of time. 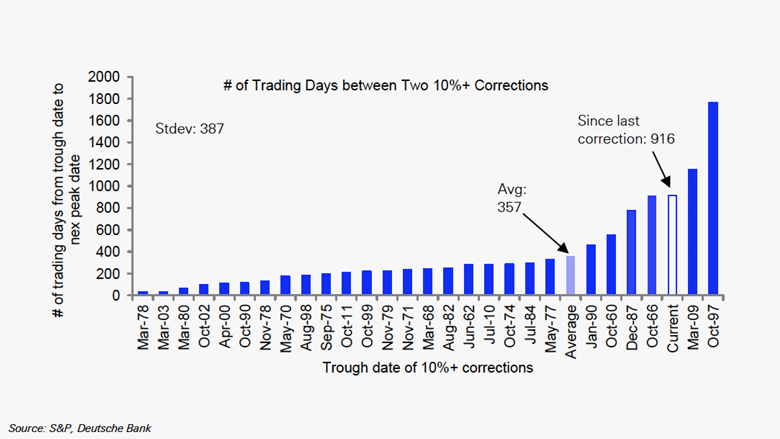 The average rally period without a correction is 357 trading days, according to a Deutsche Bank analysis of stock market moves since the 1950s. The Deutsche Bank strategists aren't quite ready to say a correction is imminent, but they add their voices to those saying: Beware! "We believe the probability of a 5%+ dip is high this summer," the report by chief U.S. equity strategist David Bianco says. Stocks look very pricey, the report warns, especially given signs that American economic growth isn't picking up in 2015 as many had hoped. On top of that, corporate sales and earnings have been disappointing. What to watch for: Bianco points to three possible sell-off triggers: the Federal Reserve botching the timing of the first rate hike, the U.S. dollar getting too strong and the bond market -- especially the U.S. 10-year yield -- rising too fast. The Fed's efforts to keep interest rates at historic lows in order to boost economic growth may be backfiring. "We know central banks want to be supportive of markets and confidence, but this has its risks now especially in the U.S.," the report cautions. The current rally is the third-longest without a correction. The mid-1990s had an even longer stretch of seven years before there was a 10% correction. That rally finally ended in October 1997 after a "mini-crash" in Asia sparked a sell-off around the world. Since over three and a half years have passed without a correction greater than 10% again, Deutsche Bank advises re-examining your portfolio. The solution isn't to exit stocks. Instead, look for opportunities to buy during the dips. Stocks often go up after a correction. It doesn't mean the bull market is done. To avoid volatility, the researchers recommend steering away from "consumer companies [with] tired brands or facing tough competition" and "commodity and industrial capital goods producers." Stock market rallies don't just die of old age, but history is a valuable guide, and it suggests a correction may be coming sooner rather than later.